The sound echoed through the halls, a sonorous trumpet calling the children to Home. The lottery had begun again. Two boys, Arbjan and Bryd, had been moving around some furniture for another arrival on the colony, while another nearby boy called Sispur had been dragging around a chair. They all stopped short at the noise. Arbjan and Bryd looked at one another, then in unison put down the table they'd been shifting around and started moving towards the doors. Sispur was a little slower on the uptake and took a couple of steps before realizing he was still holding on to the chair. They moved into the vast corridors and saw kids from other rooms doing the same, everyone moving in the same direction. Arbjan and Bryd first walked, then jogged, and finally broke into a sprint, with Sispur trailing behind and trying to keep up. They entered the main square, which was already thronged with kids, most of Minmatar origin. The square was vast, connecting all other sections of the space colony like a hub. Its ceiling was domed and reddish-gold, and the light from outside often shone down to create glowing spears that slowly pointed their pendulum tips in accordance with the sun. By rights it should long since have been turned into an impromptu playground, but there was something off-putting about playing in an area so clearly meant for work and quick passage. As a result, the square was rarely used for anything except the lottery. Sispur caught up with Arbjan and Bryd as they stood side by side in the middle of the crowd, looking expectantly at the video screens hanging overhead. The two boys had been friends for a while, which counted for a lot here. Sispur was the younger brother of sorts, having wormed his way into their little group. Younger kids who had no friends and couldn't take care of themselves did not have a good time in this place. They only knew the space colony as ABF, which some smartasses had rendered forevermore as A'Beef, but it was the square that got called Home. For most of the children in this place - and aside from the guards there were only children in this place - it represented their one chance at getting out with any prospect of a life. 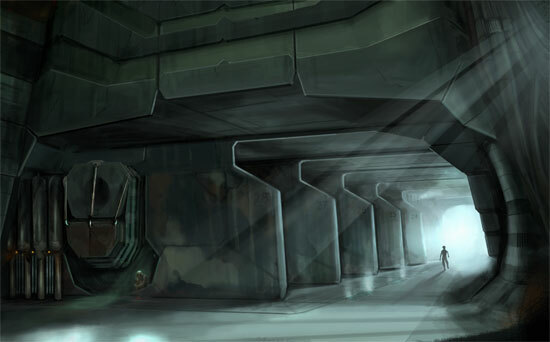 The ones who won the lottery were chosen into service for one of the Amarr Heirs, where they were put to use in all manner of administrative duties from sweeping the floors to overseeing transport businesses. Some of the roles the winners were given wouldn't be very exciting, but it certainly beat the alternative. Once a child of A'Beef hit a certain combination of physical maturity, mental maturity and biological age, they'd be shipped off to the colonies for a lifetime of slave labor if they hadn't won the lottery. Nobody knew where the cutoff point was. Some of the younger children found their friends shipped off years before they'd expected, others stayed on the facility longer than anyone would have thought possible, and one or two were even promoted to guards, but Sispur expected that once you found yourself really worrying about it, you'd probably made it to the danger area. A familiar face lit up on the video screens. It was Uncle, a light-skinned, bearded old Minmatar who often introduced the vid shows they watched in the evenings. As usual he was dressed in a fairly traditional manner, the way Bryd imagined that older people generally did, and looked quite comfortable in his clothes. A tiny patch of bare skin between his beard and the collar of his suit showed the spike an old tattoo, one which station rumor held was the remnant of a Voluval test of his youth. Uncle's baritone voice rang out from the speakers, announcing the latest draw. The children never knew how often the lotteries would be held or how many would be drawn, but it had been at least a couple of months since the last one. "Five have been chosen, one to serve each heir. Here are their names. First, drawn into service for the house of Kador, is Arbjan Haede..."
Arbjan, Bryd and Sispur erupted in cheers, hugging each other and jumping around with glee. Still listening intently, the other kids hissed and shushed them, their eyes focused on the screens with the unfiltered hope and despair that only a child can muster. As the roll call went on, Sispur noticed some kids looking crestfallen. They were getting older and likely wouldn't have many draws left before being sent to the colonies. He hoped they'd get out of that, somehow, and that he would be picked before ever reaching that stage of fading, desperate time. He imagined it wasn't very pleasant. Uncle said, "And finally, chosen by the house of Tash-Murkon, is Bryd Krooear. Those are the five lucky ones. There will be one more announcement in the coming days..."
His speech went on, but the trio of friends didn't hear it. They were staring at one another in amazement. Sispur felt his heart lift and his stomach tie itself into knots. He was so happy for his friends he couldn't even describe it. He was about to suggest they go somewhere and do something - leave the furniture and spend the rest of the day playing games - when some older kids approached them. The older kids split into two groups, and they were all smiling. They congratulated both Arbjan and Bryd on their immense good luck, and each group focused on one of the boys, asking them how they felt, telling them how great it would be, and gently guiding them away from the crowd and from Sispur. He went to follow Bryd's group, but the kids in it gave him looks that said they would not be happy to find him tagging along. The last Sispur saw of his two friends was them being escorted away in different directions, surrounded by smiling faces and wiry bodies. The chosen ones had a few days to prepare. Sispur, meanwhile, went about his usual tasks. He saw less and less of his friends, and when their paths did cross all he saw was two boys looking increasingly haggard and unhappy. They didn't want to talk about it much, though he wasn't sure whether they wanted to protect him from something or if they just didn't want him to remind them of the life they were about to leave behind. They had also begun neglecting their duties, a common enough occurrence among lottery winners. Since nobody paid any mind to them or anyone associated with them, Sispur was free to spend all his time wandering about the place alone. The facility had many sections. There were the living quarters, where the children spent progressively more time as they got older; playroom locations that had both toys and larger recreational equipment; and a few areas reserved for schooling, although not everyone was required to attend. There were lots of large, empty rooms, often beset with climbable metal supports and with nooks and crannies that offered crawling and hideout opportunities. There were also some administrative areas, but the kids had little interest in those. One was the Baby section, where new arrivals were kept while they were acclimatizing to the facility. None of the children knew what criteria had been used to select the facility's inhabitants, nor did they remember anything of their past lives, although a few recalled the Baby section being peaceful and bright. Right next to it, nameless and uninteresting, was a section where some of the young girls were taken after being doomed to the colonies. It was whispered that marriage ceremonies took place there, the girls married off to Minmatar men and taken to new lives where they could serve Amarrian masters for five years without Vitoc before being set free. Every now and then a cargo ship would dock, stay for a day or two and then depart, which spawned rumors that the men from those ships had been boarding the facility to get married. Sometimes larger ships also came, although they only stayed a few hours. Sispur wondered what his life would be like on the A'Beef from now on, and whether he'd ever be chosen. The lottery was fickle, and most children would be sent to the slave colonies. Tests of all sorts were periodically conducted for the children, and there were countless myths about how to perform in those to improve one's chances of being drawn, but nobody had yet discerned a pattern. In some of his darker moments Sispur had even thought that it really was a lottery, and that the tests were merely fakes. He didn't like to dwell on that too much..
And then it was the day before Arbjan and Bryd were slated to leave. Sispur had neither seen them for a long time nor been given any indication that they wanted to see him. He'd been out all day, staying away from people and ignoring everything he saw and heard. As he wandered through Storage Section 4A - a place he once used to visit with his old friends - he heard a sound and followed it. In a cubbyhole they often used for hide-and-seek, he found a badly beaten Bryd, bloodied and covered in scratches and bruises. Bryd screamed when he saw Sispur's face and scurried further back into the hole, but relaxed slightly when Sispur said, "Hey, it's me. It's just me. What happened to you?!" Bryd blinked a couple of times as if realizing who he was looking at, then said, "Get out of there, quick." "Look, it's okay. I'm alone. There's nobody coming." He leaned in close and caught a good look at Bryd's swollen face. "What did they do to you?" Bryd sniffed a couple of times, wiped the snot and tears from his face with one sleeve, then used the other to wipe out the inside corners of his eyes. He blinked a few times, took a deep breath and looked back to Sispur. "They told us we were enemies now," he said. "They said we had to fight, that we were the generals in these armies. We'd been chosen, and we couldn't let our side down." Sispur sat closer to him. Bryd didn't seem to mind or notice; he looked out into the distance. "All I've been hearing for the last few days is how great I am and how much Arbjan deserves to die; how the house of Kador is crumbling and worthless and only the house of Tash-Murkon can save what remains of the Empire. But they need good people, and for the others to get out of the way. So tonight we were going to find Arbjan and his army." "To do what?" Sispur said quietly. "To destroy them," Bryd whispered. They sat there for a while, listening to the sounds of their own minds in motion. Finally Sispur said, "What happened then?" "We'd heard where they were and were about to head over there, but I couldn't do it. I chickened out. I waited until everyone else was busy with their own thing, and then I took off quietly. I went through some of the back areas, but someone must've seen me and snitched, because Arbjan's group caught up, and they started to beat me." "I don't know. I didn't see him. My own people came and attacked the ones who were beating me. There was this huge all-out fight, and in the middle of it I managed to escape. Some of Arbjan's people ran after me, but I shook them off and came here." Bryd gave him a miserable look. "I don't want any of this," he said, tears rising again in his eyes. "I want things to go back to the way they were." Sispur nodded. Hearing Bryd refer to the thugs as his and Arbjan's "people" made him cringe. He tried to think of something to say, but couldn't. Eventually he settled for, "I'm sorry." Bryd nodded, though Sispur felt he was acknowledging something else. "Now get out of here," he said. "I'm not leaving you," Sispur replied. Bryd gave him a look of something that had equal measure of love and hatred. "If you don't go, I'm dead for sure." "I am not going to tell on you, Bryd." His friend leaned back, pinched his eyes shut and bobbed his head up and down, as if trying to contain himself. Sispur didn't know whether he was trying not to laugh or cry, and looked away, towards the empty hall. At last Bryd spoke again, but the words were unintelligible. He cleared his throat harshly and said, "You really don't know? About you." "Know what? What are you talking about?" This time Bryd laughed, and for an instant Sispur saw his old friend shine through, the one who'd make fun of him but it was okay, because it was just Bryd. "You were chosen," the beaten boy said. Sispur's breath caught in his throat. "What for?" "It's all over the A'Beef. Uncle announced it in Home today. There are guards looking for you, and you're supposed to be leaving. I don't know if Arbjan's guys will let that happen if they find you here with me, though." "What are you saying, Bryd?" "You've been chosen to serve the Chamberlain himself. Nobody can hurt you. You're untouchable now," Bryd said, and started to cry. "You won. You won. You won." Sispur got up in a daze. He left the hidey-hole, leaving Bryd behind, and slowly walked out of the hall, going through the A'Beef for the last time. Any children who saw him kept their distance. Eventually the guards came, and took him away. To discuss the story with other EVE players, click this link.